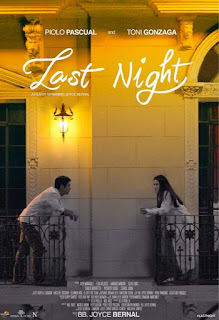 Last Night, a romantic comedy film starring two of the most sought after artists in the Philippines, PioloPascual and Toni Gonzaga in the direction of Joyce Bernal under the production of Star Cinema and written by Bela Padilla released in cinemas September 27, 2017. Mark Peters (PioloPascual) with some deep, personal troubles decided to commit suicide and as he’s about to jump off the bridge he saw a woman who’s stuck after jumping off the same bridge earlier. Mark saved the woman, named Carmina Salvador (Toni Gonzaga) and from there they became friends and pledge to commit suicide together. As they talked the plans of how they will commit suicide, realizations and complications started to come up. And mysterious feelings and scenes pops. The film depicts the process wherein a suicidal individual goes through. Confusing thoughts, disturbing actions and stress that leads a person to commit suicide. It’s a controversial, yet beautifully portrayed storyline and have a mysterious, unexpected ending. 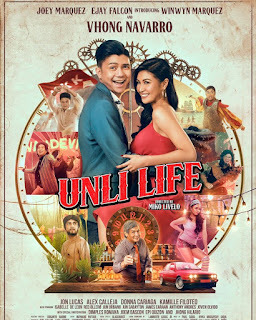 I surely recommends this film for those who likes a different kind of love story, it’s a must watch movie.